Trenay Duchane, age 12, died after being punched to unconsciousness, beaten with an electrical cord and a broomstick, and scalded to death by her stepmother, Reiko Troupe, as punishment for not cleaning her room. 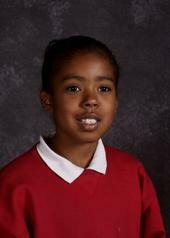 Her 9-year-old sister Treshae was also beaten and burned in an attempt to save Trenay. The girls’ father, Jeffrey Duchane Jr., allowed Trenay’s body to remain in their apartment for four days, eventually calling the police because Trenay’s body was beginning to smell. Both Troupe and Duchane pleaded guilty to first-degree murder and child abuse and were sentenced to life in prison.